Is this tough enough for you? Earlier this year we featured the Evergreen Endurance Triathlon (www.evergreen-endurance.com), the second edition of a Chamonix (France) based event that is "arguably the most beautiful yet testing triathlon in the world." Offering a number of distances, the flagship Evergreen 228 covers 4km of swimming, 181 kilometres (with, 7,400m of altitude gain...), before a 43km trail run into Chamonix. If you like things tough, but in totally stunning surroundings, well - this could be the challenge for you. “To me this event is more than a race, it is a true adventure that will push anyone’s limits once you commit to the challenge" was the feedback from the Karin Sloove, first female across the line just a few seconds inside the 19 hour mark. Given the popularity of events such as Norseman, Celtman, Swissman, Embrunman and The Brutal among others, I'd say that the Evergreen Endurance 228 has all the hallmarks of a "must do" event for those that like something different and very challenging. Following on from a successful inaugural event in 2015, the Evergreen Endurance Triathlon weekend of racing, 10-11th September, experienced huge growth in just its second year, with 362 athletes lining up at the three distances, over twice the number from the previous year. Each race was set to a picture-postcard backdrop rivalled by none other. With jaw-dropping mountain vistas as far as the eye can see, together with the spectacular race route that encapsulates all that nature has to offer, the competitors were treated to a breath-taking two-days of swimming, cycling and running. The flagship event of the action-packed weekend is the Evergreen 228, covering 228 kilometres and over 7,400m of altitude gain along the way. Starting with a striking 4km swim in the Alpine Lac de Montriand, athletes then tackle a mountainous 181km bike leg up and down the Alpine roads favoured annually by Tour de France pros, before finishing with a 43km trail run to the line in Chamonix. The 173 brave triathletes lining up on the start line early on the Saturday morning made for a sight to savour. Each and every one showed true grit and determination out on the route and, together with all other gutsy participants at the world’s most beautiful triathlon, they kicked off a hugely successful weekend of racing. The winner of the 2016 Evergreen 228 was Frederic Frech, who finished in a time of 16h 19’ 19”. The first woman over the line – also making Evergreen Endurance history as the first Evergreen 228 female finisher – was Karin Sloove, racing to a time of 18h 59’45”. In total 112 athletes finished the Evergreen 228; from 117 starters, 115 finished the Evergreen 118, and of the 81 who entered the shorter Evergreen 58 race, 77 came across the finish line, with the winner, Jérôme Goussard, finishing in an impressive time of 4h 56’ 39”. True to the green spirit of Evergreen Endurance, each competitor received a sapling, to be planted as part of the event’s commitment to give back to the environment. As well as being entirely paperless, using electrical and low emission vehicles as well as biodegradable transition equipment, having a strict littering penalty system, and the many efforts the event makes to reduce its carbon footprint, Evergreen Endurance remains on track to be 100% carbon neutral by 2019. 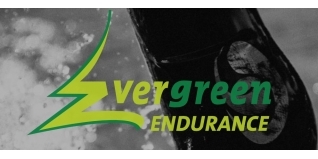 With only a small number of Brits on the start line, Evergreen Endurance is calling out to you! Come and join in for 2017, and look out for news on the confirmation of the event dates, together with early bird offers. Stay up to date on the website, or across the Evergreen Endurance social media channels – Facebook and Twitter.